How Much Do Lawyers Charge? What is a Free Consultation? Choosing the right North Carolina law firm for legal representation on your case can seem overwhelming. You should give it the same level of care and concern as you would for any other important decision in life. But what does that mean? What is a Free Consultation? Do personal injury lawyers charge legal fees, even if you decide not to pursue a claim or file for money damages in North Carolina? Just like clients consider different attorneys for legal representation, plaintiff’s lawyers also review cases. Before agreeing to take a matter on or committing to serve as your lawyer, most experienced attorneys will want to evaluate your case. They will ask a lot of questions. They often times need to review important documentation like accident reports, police officer statements, medical summaries, and financial records for your accident claim. There’s an important and very basic reason for that: North Carolina Workers' Compensation Lawyers and NC accident lawyers only get paid legal fees if they win. Our law firm only charges legal fees if were are successful in obtaining a settlement or verdict after trial or litigation. That’s how we define “winning”a NC accident case. When we take a new client, we’re often starting at ground zero or step #1. 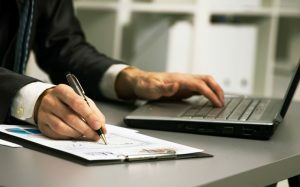 While there are instances where a minor settlement or “go way” offer has been made by an insurance adjustor, an employer, or some representative of the company, the majority of our personal injury files begin where a claim has been outright rejected or the offer is so low that it’s clearly not enough to cover outstanding medical bills and lost wages. That’s especially true in NC Workers' compensation cases where there may be a claim for permanent partial disability, long-lasting disabilities, and the need for a reasonable accommodation to perform the duties of the job and continued employment. NC lawyers who handle personal injury cases, legal claims involving compensation for money damages, lost wages, medical bills, costs of treatment or rehabilitation, work the same way. In North Carolina, those are called contingency fees. Put simply, legal fees are only recovered contingent upon there being a recovery, verdict after trial, award by the NC Industrial Commission according to the North Carolina Workers’ Compensation Act, or legal settlement. Legal fees are contingent upon taking cases with legal merit under the NC accident laws or NC work comp statutory protections. So the time we take talking to you during the initial meeting about your car accident or motorcycle accident or 18 wheeler case is part of that review process. In “consulting” with a lawyer, both for you to decide if we are your lawyers and eastern NC law firm, and for us to review the case, there is no charge. That’s what we mean by a Free Consultation. But it goes deeper than that. What happens if my accident lawyer in Greenville NC or my Work Comp lawyer in Jacksonville, North Carolina does a lot of work and the claim is rejected? What happens if we lose at Industrial Commission hearing? What happens if my injury lawyer puts in work and nothing comes of the claim? That’s easy: No legal fees are due. You owe us nothing. That’s all part of the contingency fee relationship. We will put that in writing. We will explain the expenses of litigation, the costs of presenting a claim for money damages, what we plan to do to help, how legal fees are charged in North Carolina, and what to expect once we agree to serve as your personal injury lawyers. When North Carolina lawyers say, “We offer a free, confidential consultation,” they are talking about a second, and equally important, aspect of legal representation for accident cases and NC work comp claims. That’s a reality in NC workers' compensation law. Occasionally employers retaliate. They sometimes unlawfully fire employees, even if that violates the work comp laws in North Carolina. In the meantime, the person hurt at work is out of job. 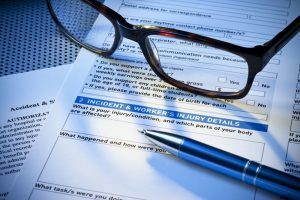 So in considering whether to file a legal claim for Workers’ Compensation in Greenville NC or Jacksonville, North Carolina, clients sometimes want to explore their legal options without the employer finding out. That makes sense and it’s OK with us. Again, part of the free consultation process is to review the case. As NC injury lawyers, we will take a look at your claim and provide a free case evaluation. Lawyers keep secrets. That’s what a Confidential Consultation means. You can have confidence that everything you tell us is protected under the attorney client privilege. What we talk about is “privileged” and cannot be disclosed under the NC accident laws and the NC Workers’ Compensation Act. 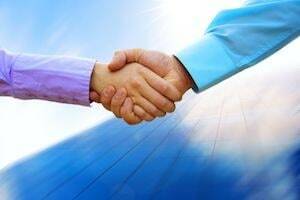 When Should I Hire a North Carolina Personal Injury Lawyer? That’s a good question, but it assumes you actually have the “hire” a lawyer. We encourage you to call our law office now, for no other purpose than to talk, to ask questions, and to begin the process of explaining your legal rights in North Carolina after an personal injury. Talk to the lawyers at the Dodge Jones Personal Injury Lawyers in Beaufort NC, Morehead City, New Bern, Jacksonville NC or Greenville, North Carolina. We’ll help explain filing legal claims and give you information. THEN, if we believe we can help with your NC Workers’ Compensation case or your personal injury case for a car wreck, motorcycle accident, boating accident, or semi truck accident, we can talk about retaining our law office for legal representation.